The Provision Proton Therapy Center is a member of Provision Healthcare, nestled in the beautiful Dowell Springs campus. It is one of just 14 proton therapy centers in the United Sates. Offering leading-edge treatment options for patients across the world, they focus on personalized, comprehensive care in which physicians walk with patients through each step of the process in a nurturing environment. Scott Hamilton CARES Foundation is a not-for-profit 501(c)(3) public foundation formed to serve and support health and wellness, focusing on three primary areas: Research, Education, & Survivorship. Women Survivors Alliance’s mission is to establish a network where women affected by cancer can find their voice, improve their quality of life, and embrace their 2nd Acts. Empowering. Educating. Connecting. Transforming survivorship from a mood to a movement! The National Association for Proton Therapy (NAPT) is registered as an independent, non-profit, public benefit corporation providing education and awareness for the public, professional and governmental communities. Founded in 1990, it promotes the therapeutic benefits of proton therapy for cancer treatment in the U.S. and abroad. Tennessee Cancer Specialists provides innovative, comprehensive cancer care with a personal touch. They’re a full-service medical oncology and hematology practice with a premier team of highly trained and experienced board-certified physicians, nurse practitioners and oncology-certified nurses. Overcomers is a cancer survivor support group that meets at 6:30pm at the RIO Revolution Church on the second Monday of every month. Survivors and their families are welcome. We are here to support each other and praise God for what he has done in our lives! The Brotherhood of the Balloon (BOB) is a group of prostate cancer patients who have chosen Conformal Proton Beam Radiation Therapy. The purpose of the BOB is to provide an aftercare communications forum, where members share information on any subject related to their treatment, the healing process, and preventing a recurrence. Members also promote prostate cancer prevention at public forums and willingly share their experience of proton treatment with others who have been diagnosed. 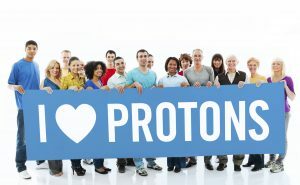 East TN Proton Guys is a community where former proton therapy patients serve newly diagnosed patients, those currently receiving treatment, and offer support to cancer patients. The Knoxville Comprehensive Breast Center is an independent facility specializing in women’s breast health. The breast center handles everything related to breast healthcare from screening, through diagnosis and treatment. performs digital mammography, ultrasound, fine needle biopsies, Breast MRI and also has a Digital Mobile Mammography Coach. Learning that you have cancer can be an overwhelming experience – one that leaves you frightened, vulnerable and alone. The 4th Angel Mentoring Program offers free, one-on-one, confidential outreach and support from someone who has successfully made the same journey you are about to begin – the journey towards recovery. This specially trained volunteer and cancer survivor – your 4th Angel – is someone who will talk and listen in a supportive setting. The 4th Angel Mentoring Program is telephone based, so you can be connect with an angel anywhere in the country. Chemocare.com is designed to provide the latest information about chemotherapy to patients and their families, caregivers and friends. We are here to help by supplementing what you may already have learned from your healthcare professional. RadCARE.org helps cancer patients and their families to better understand their care by explaining highly technical medical information in simple terms. It helps patients understand the many different aspects of radiation therapy and treatment process. Eddie Check is an annual event that adds free PSA screening for prostate cancer to blood drives. It was a simple strategy using MEDIC’s already existing resources to make it fast and easy for men to get a blood sample drawn for the screening. Buddy Check 10. 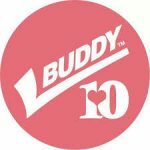 The goal of the Buddy Check 10 program is to remind women to do their self breast exams to promote early detection. Proton Ambassadors are eager to share with those recently diagnosed with cancer about their own journey of searching for treatment options and why they chose proton therapy. © 2019 Tennessee Cancer Patient Coalition.